One of the most anticipated vehicles of the year is the next-generation Jeep Wrangler, but a big question mark is what engines it will have. A tip sent to Jalopnik from an anonymous source appears to confirm the full range of motors, including two versions of the planned diesel. And two versions of the 2.0-liter four-cylinder engine. Spy photos appeared to show a diesel 2018 Wrangler Rubicon out testing in July 2016, so this isn’t a big stretch. 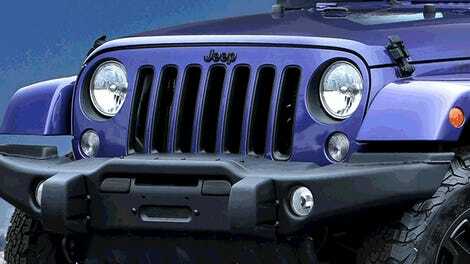 The 2018 Wrangler has also been rumored to have a 2.0-liter turbocharged engine that makes nearly 300 horsepower for over a year now, but we have not yet heard any horsepower specifics or whether either of the four-cylinder Jeeps will be turbos. Sadly we have not heard anything new on Wrangler’s transmission options, which has been rumored to come with a manual or not at all. The latest rumor, to make you all feel better, is that it will come with a manual. Jalopnik has reached out to FCA for comment and for clarification on whether the options from the tip are accurate, and will update when we hear back. Update, May 16 at 5:38 p.m. ET: A spokesperson for the company responded to Jalopnik’s request for comment, saying that FCA “cannot comment on future product.” We tried.